I pause in the midst of my usual Sunday of watching movies and knitting (sometimes I crochet), to make my Wrist to Forehead Sunday post. Never mind why my wrist is to my forehead (about to swoon, although I do not own a chaise lounge), because I would rather talk about movies than whine. We began our movie watching with A Place in the Sun, one of our favorites. It is sort of related to a local historical murder, being based on a novel that was inspired (I can put it no closer) by the murder of Grace Brown by Chester Gilette. He stayed in the 1834 Jail while being tried in the Herkimer County Courthouse, both on Herkimer’s Historic Four Corners, one of my favorite places. 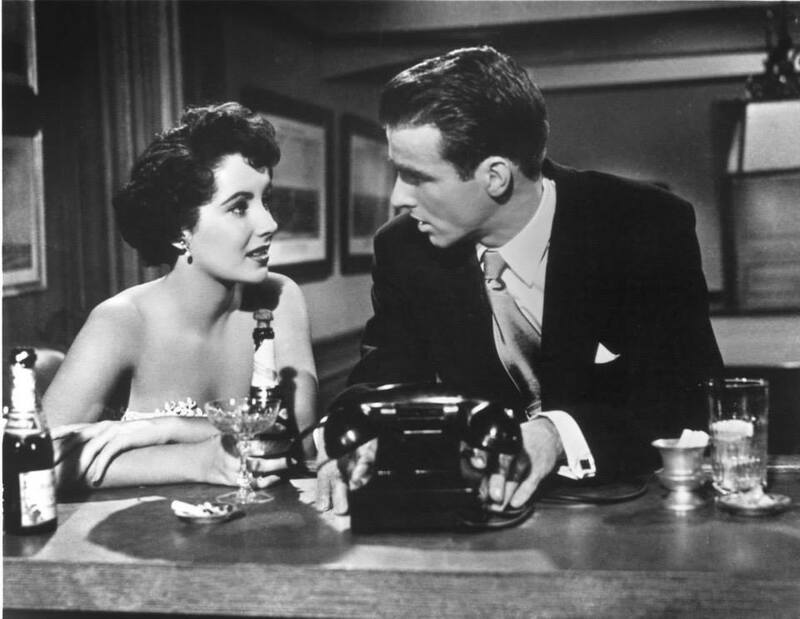 I mostly wanted to see the movie for Elizabeth Taylor, Montgomery Clift (pictured) and Shelley Winters. Two of our all-time favorites. Next we went to Death on the Nile, a star studded Agatha Christie romp. 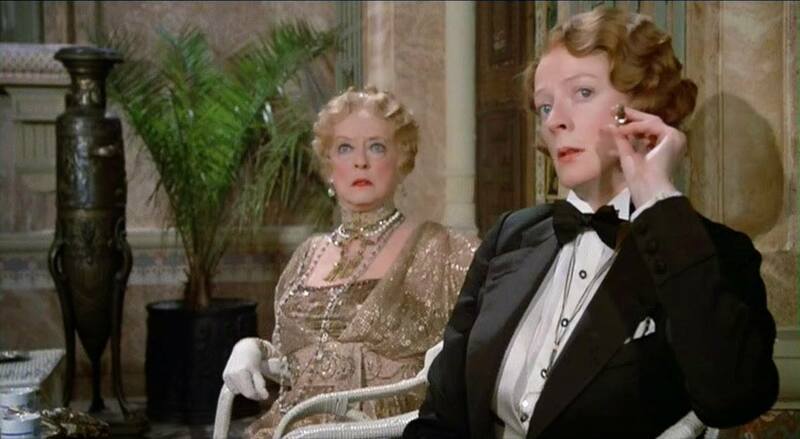 I found a picture of our beloved Bette Davis and Maggie Smith, but the reason we put on the movie is that David Niven came up in a conversation. He is also in the movie, his usual debonair self. 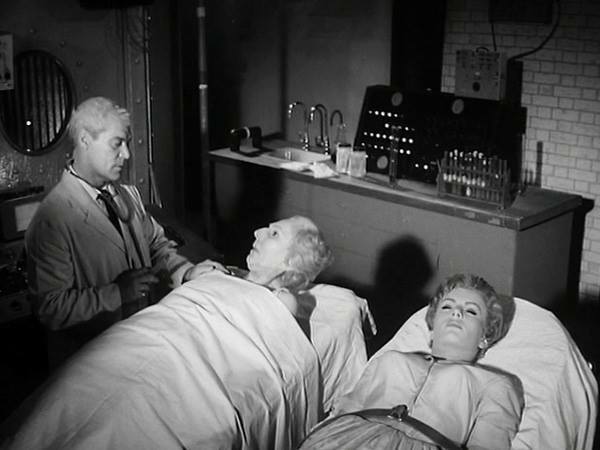 This scene is near the dramatic conclusion. After Death on the Nile, we went cheesy with The Atomic Brain. We have that on AMC Cult Classics, a two disc collection with four movies, some more classic than others. 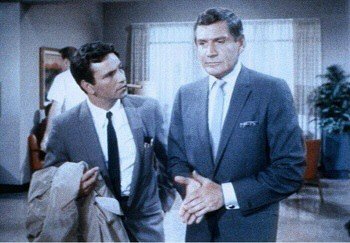 Look how young Peter Falk is! We are currently watching Columbo in Prescription: Murder. In fact, I am missing some important stuff to make this post. There’s a reason to swoon! I can’t put my wrist to my forehead while typing, so I shall sign off now. Happy Sunday, everyone. Posted in humor, personal, Wrist to Forehead Sunday and tagged A Place in the Sun, Bette Davis, blog post, blogging, cheesy horror movies, Columbo, David Niven, Death on the Nile, Elizabeth Taylor, Maggie Smith, Montgomery Clift, movies, Peter Falk, Prescription Murder, shelley winters, The Atomic Brain, wrist to forehead. Bookmark the permalink.